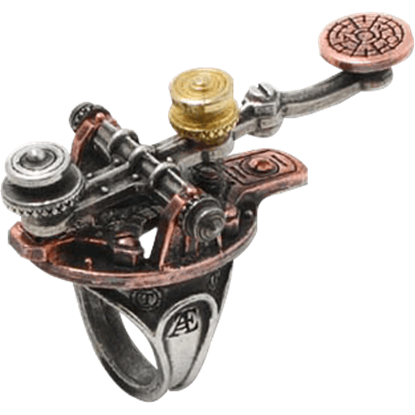 Steampunk jewelry is well-known for its eccentric design and its inclusion of gears, cogs, cranks, and other pieces of machinery. The steampunk rings here are no exception, showing off a number of unique appearances. 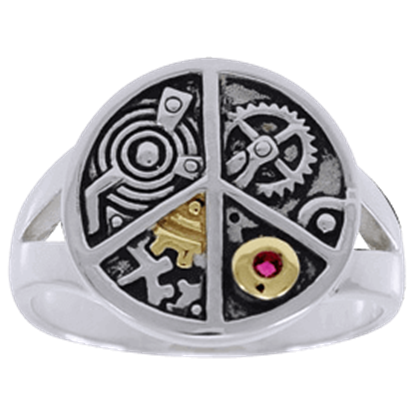 Our steampunk fashion rings come in all shapes and sizes with designs ranging from vintage designs like skeleton keys and cameos to ingenious steampunk contraptions. Several unique designs embrace a nautical theme, showing off octopuses, diving helmets, and other maritime icons, while others display fantasy flair with dragon eyes and butterflies. 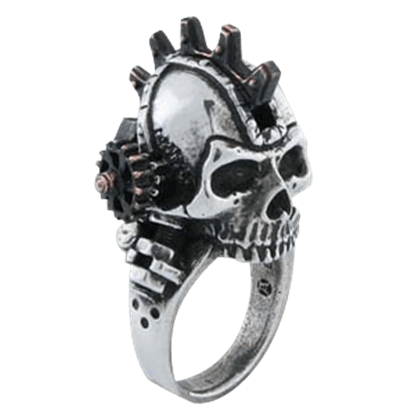 We offer excellent steampunk bands or Neo-Victorian rings for men and women, so take a breather from your mundane, everyday style with the help of these gorgeous steampunk accessories. 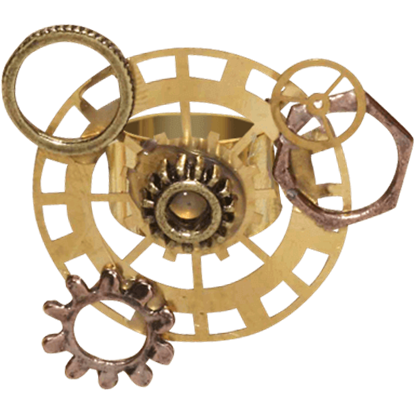 The Antique Clockwork Steampunk Ring is a magnificent accessory that is a perfect addition to any Steampunk costume. 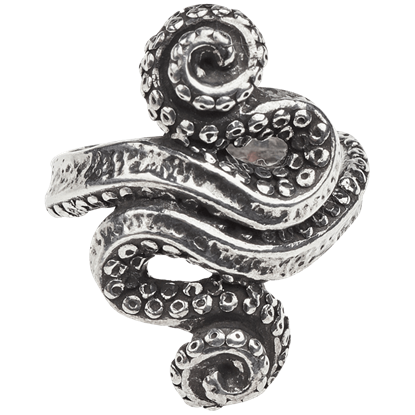 Not only is it a fantastic costume accessory but it is also a great little ring to wear for virtually any occasion. Embrace the soothing aura of bohemian life and the hardworking nature of industrial fantasy by wearing the Clockwork Peace Ring! With its incredible sterling silver build, this unique accessory fuses the styles in eclectic charm. The Dr Von Rosensteins Induction Principle Ring is made of pewter and solid brass, an authentic reproduction of Dr. Von Rosensteins indispensable key to the induction matrix. This Gothic ring has a bright, gleaming finish. The small details are often the first ones forgotten, and the ones that make the biggest impact. 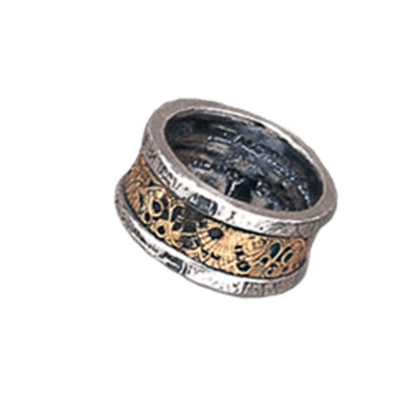 This Gold Steampunk Gear Ring is a small detail that could easily be forgotten and missed but makes an impressive impact. The Kraken, a monstrous, tentacled creature from the depths of the sea. Sailors say that it can pull entire ships to the ocean floor by wrapping its massive tentacles around them, like what the Kraken Ring does to your finger. Behold, the first punk automaton! This surreal Steamhead Gearpunk Ring is a combination of steampunk and gothic style, featuring a cranial opening that reveals the innermost workings of this unique and intriguing steampunk phenomenon. 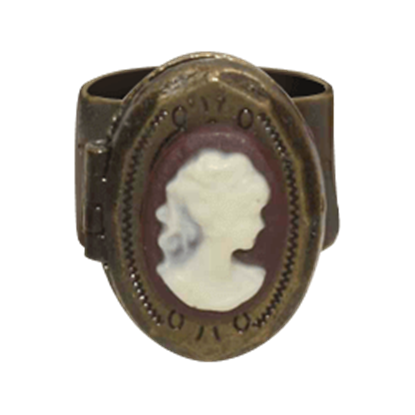 The Steampunk Bronze Cameo Ring is not just a pretty accessory that complements a wide assortment of Steampunk looks. It also happens to be a clever hiding spot for anything that a woman might want to keep secret. 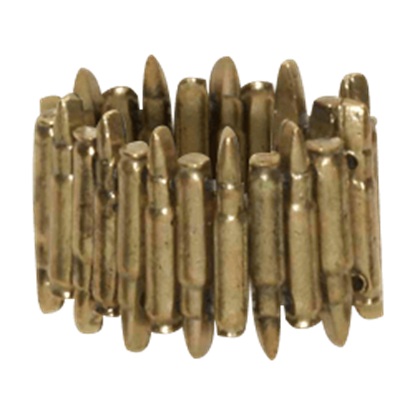 Nothing catches the eye like a series of bullets worn on the finger like a wicked wing. 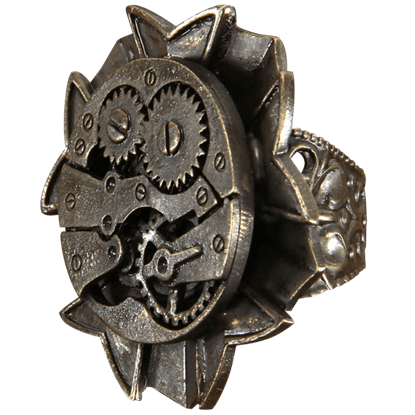 People will know that you mean business when you poke and point at them with a finger that happens to be wearing the Steampunk Bullet Ring. Even those in an alternate timeline have fallen in love at some point. 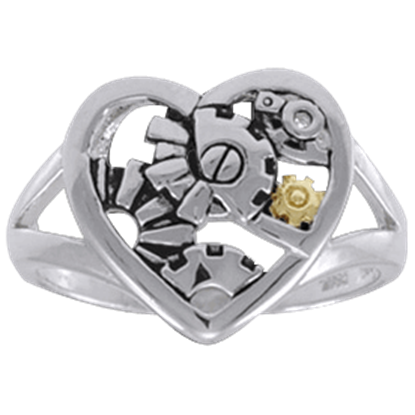 With the Steampunk Heart Ring, you can show that special someone how much you love them and would still be devoted to them if the world turned out differently. If gears, cogs, and bolts can be Steampunk jewelry, why not other objects? 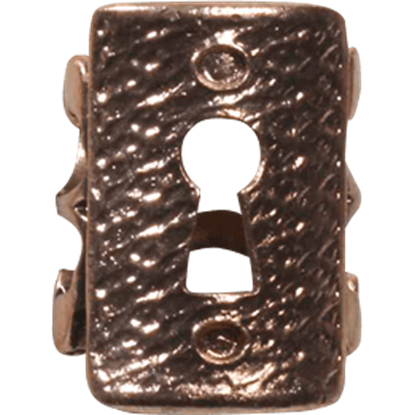 The Steampunk Key Hole Ring takes a key hole and applies a bit of vintage styling to create an eye-catching Steampunk accessory without equal. Traveling makes it hard to maintain good lines of communication. Now however, you can take the J-32m Electrical Telegraph Finger Tapper Ring wherever you go, ensuring that you always have a way to get a message to the rest of the world.